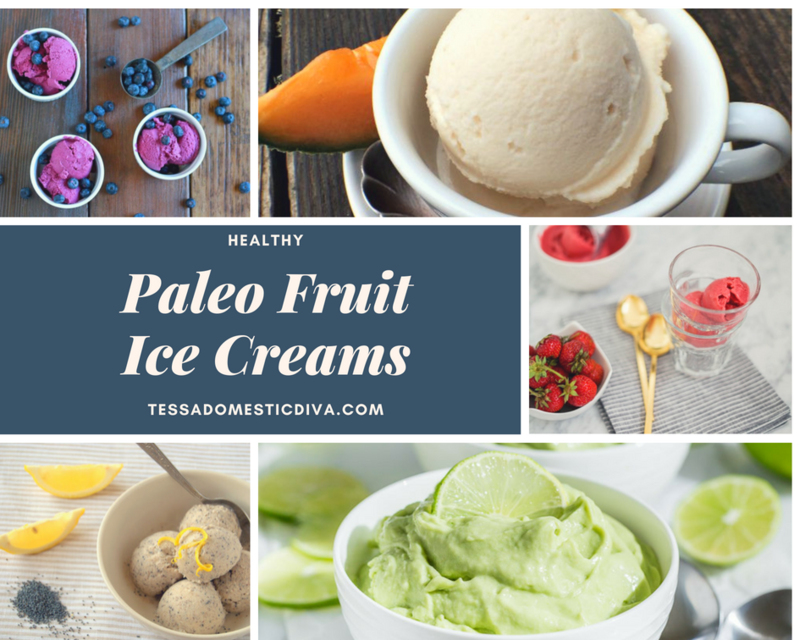 When the temperatures soar, smart moms gather a lot of healthy Paleo ice cream recipes to have on hand when cravings strike! 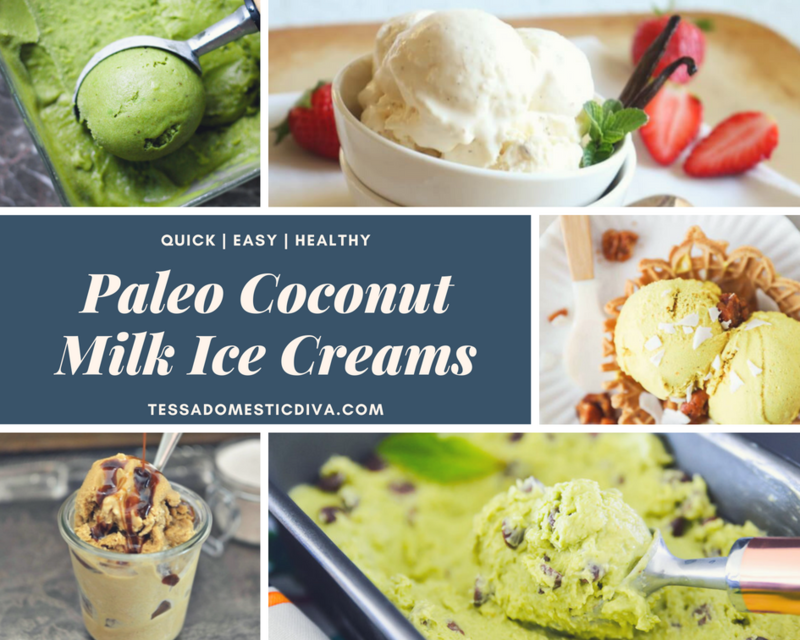 Cool and refreshing, coconut milk ice creams are incredibly delicious and these recipes are healthy to boot!! The vast majority of these recipes are already dairy free. Depending on your dietary needs of preferences, you may have a hankering for changing things up. As a rule, ultra creamy milks with plenty of fat should be used for the creamiest texture. Here are a few options you should be able to use in place of any cream or milk in an ice cream recipe. Cashew (or macademia) milk: Whir 1 cup raw cashews with 2 cups purified water in a high powered blender. LOVE my BlendTec! Full fat coconut milk. My favorite brand HANDS DOWN is Savoy. No fillers, no thickeners, amazing flavor, and the whole can is creamy and thick, so no need to separate the fat from the water like in some brands. Hemp milk – 1 cup hemp hearts blended with 2 cups water until smooth. Generally, in order to make a low carb ice cream….you will need to sub out the sweetener. Luckily there are some excellent low carb sweeteners out there for you to consider! Lankanto Monkfruit is a great granular sweetener. I powder my own in my Blend Tec if needed! Depending on how much is called for, I usually replace part with stevia glycerite. Lot of people love Swerve, it’s just more expensive. Replace any chocolate with Lily’s, or a unsweetened variety in conjunction with one of the above mentioned low carb sweeteners. While there are lots of options out there, I love my Cuisenart electric ice cream maker! Gone are the days of hand churning! I keep my insert in the freezer throughout the summer and can have fresh ice cream ready in 30 minutes! So awesome! My kids use it themselves too! Yessss! Perfect timing for this! I just dug out my ice cream maker and can’t wait to make some of these. That avocado one looks so great. Have GOT to try out the coconut and lime flavour. Although they all sound yummy! 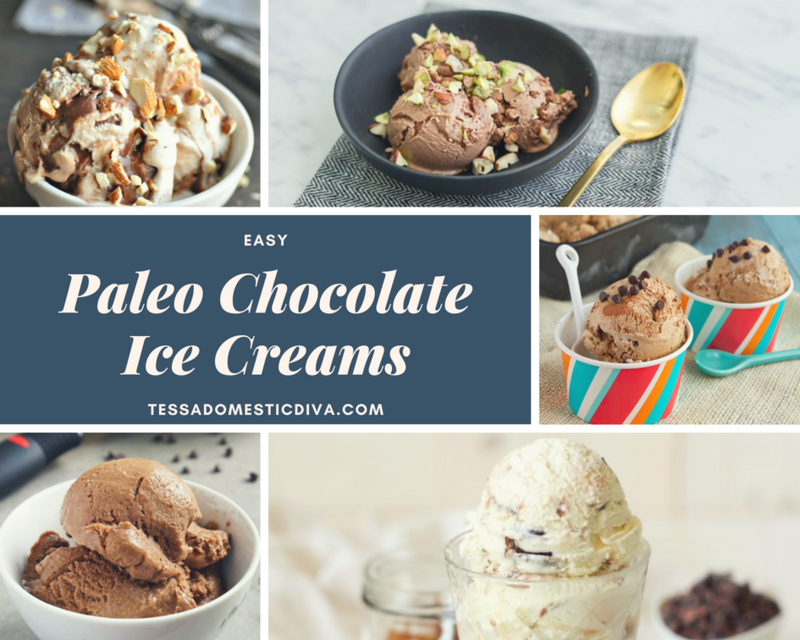 This all sounds so good – I love the idea of the coconut or cashew milk in the ice cream, it would lend a great flavor! What a lovely collection of ice creams ! I can’t wait to make them. Thanks for putting it together ! Thanks for this great roundup. I’ll be working my way through this list this summer! Such great ideas!! Need an icecream maker.. It’s on my wish list!!! Thanks! OK… closer to top of my wish list now.. I am SO wishing I had some ice cream right now! Everything sounds so good! I love that cantaloupe recipe above, I’ve made that one before and it’s so yummy. Love all these recipes and especially the tips on using essential oils. I have been using them for my cleaning supplies and skin products but never really thought of adding them to food. Yum, ice cream is my favorite dessert! Thanks so much for including me! I love this roundup Tessa, these all look SO good and I love all your helpful tips! …I’ll have to check my e-mail but I don’t think I’ve gotten your last few newsletters :/ That will need to be fixed right away!!! Thanks Cass! I send out newsletters now, so haven’t sent one in a couple of weeks…I need to get on it! I appreciate how you’ve outlined all the creamy base options, how helpful. These recipes are such great, well-chosen choices!! Just in time for all the summer heat. 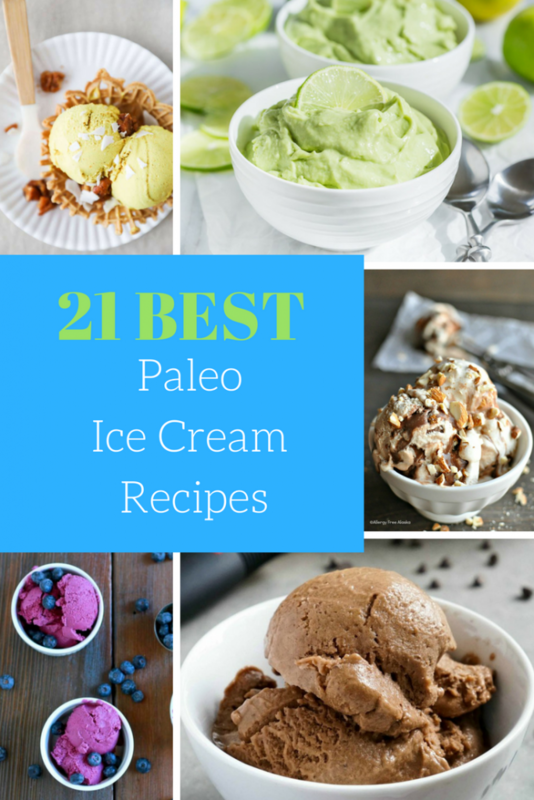 I love ice cream and so many different recipes. Hand me a mini spoon I want to sample them all! Oh my gosh, so many delicious-sounding flavors, I want them all! Love that the weather is warming up so I can try some of these! I really need to invest in an ice cream machine. Pretty much everything you need for summer, in one post. Haha. Thanks for including my Honey Kiwi Soft Serve! My mouth is watering! Very timely and DELICIOUS post!